The new hospital (built in 1904) was on ground east of the old cemetery, and out the south edge of the village on the road that led to the Huckere Bridge, which we had to cross to travel to the village of Huck. This ground was referred to as Reides Bahn (Born) Felte where the villagers held an annual sale, similar to the flea markets of today. It was referred to as Jahrmarkt (annual market). Nearly everyone brought things to sell, and people came from other villages to buy things we were selling. People like Mr. Faigler (Vögler), the leather tanner, set up booths loaded with tons of leather goods, and the Russian buyers from other villages usually bought out all of the red dyed leather quickly. Katza (cat skinner) Sinner brought caps made of hides of lambs, cats, or wild fur bearing animals. Besides buying cat hides and such, he skinned birds and feathered creatures, which was used for ladies finery. Katza Sinner was the noted village taxidermist. The sales lasted a week and you always bought more than you sold, unless you were the exception. The Jahrmarkt was held in the month of October. 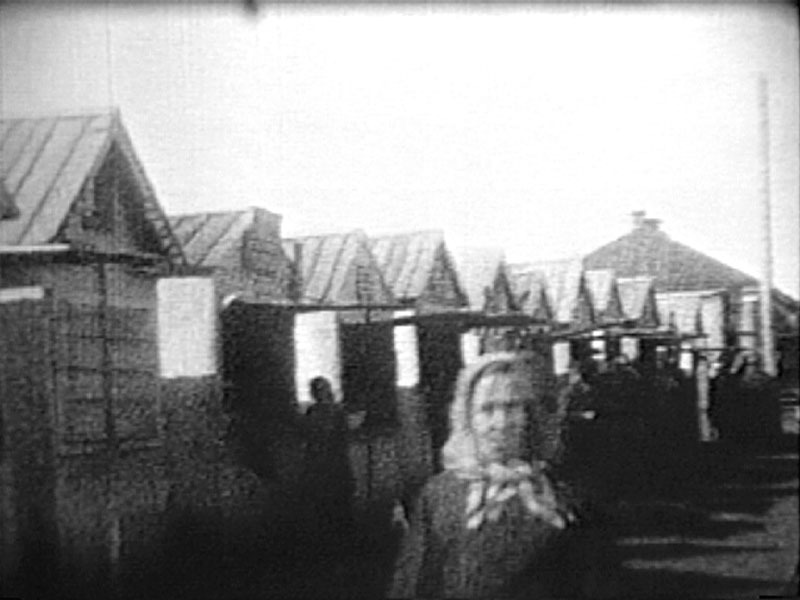 Image of the "Jahrmarkt" of 1928 from the film taken in Norka by Heinrich Wacker. By the early 1900's the Jahrmarkt was held up to three times per year.